Dr. Uladzislau Belavusau ist Senior Researcher im Europarecht am T.M.C.-Asser-Institut (Den Haag) – Universität von Amsterdam und Principal Researcher im Projekt "Memory Laws in European and Comparative Perspective" (MELA). Literally a week ago any scholar daring to advocate “less power for the EU Parliament” and “hands off the Commission” would have faced a storm of dramatic accusations from all sorts of legal and political scientists. EU academia is deeply infected by a virus called “democratic deficit”. Last week parliamentary elections in Europe revealed the need to challenge this virus and explain why politicising the Commission (the direction enthusiastically advanced in recent EU scholarship) is largely erroneous and potentially mortal for the EU immune system. Considering a concise format of the blog, I can neither fully expose the genealogy of the debate on democratic governance nor meticulously challenge arguments of the leading proponents of the Parliament’s empowerment. Instead, I take this occasion to further sketch the current politics of the constitutional argument about democratic deficit in EU law, summarize its major fallacies and, finally, illustrate my conclusions against the background of the last week election results. Since the end of the 1970s, the cliché of democratic deficit has been penetrating jargon of EU scholars as a reference to the assumed lack of participatory democracy. The transformation of the Assembly into EU Parliament parallel to the gradual increase in competences endorsed to this institution has been seen as progressive democratization of the Union. Anyone ever studying decision-making procedures by the trio (the Council, the Commission and the Parliament) cannot but feel immediate goose bumps recalling their complexities and infinite varieties advanced in the course of the evolution of the EU Treaties. The direct elections in the Member States were designed as a missing forum for the absent exercise of universal civic engagement offered to EU citizens. Furthermore, after Lisbon Treaty practically all major law-making initiatives by the Commission require consultation with the Parliament (including appointment of the Commission itself) and “ordinary legislative procedure” at times provides almost equal footing between Parliament and the Council. Yet whether consultation is akin to the exercise of legislative power remains more than doubtful. Despite its name – that is largely fictitious, comforting the public and certainly flattering towards European MPs themselves, – the Parliament of the Union is not and cannot fulfil the same check-and-balance function it serves for in national Western democracies. Despite the misleading name, this institution has definitely little to do with classical constitutional parliaments apart from offering forum for certain communicative action, at best, and trivial populism for the national parties represented there, at most. This communicative function is certainly highly important as the exposition of the current views and debates within Member States, including those advanced by marginalized communities. Yet this forum is hardly indispensable for the complicated governance of the Union of 28 Member States. Not only the Parliament had received the misleading name, it was set up in a problematic place, or better in between places, shifting its sessions between Brussels and Strasbourg. Besides, Luxembourg is home to the administrative offices. Changing fora has been remedying complexes of the French administrative bureaucracy and mimicking geographical separation of institutions adopted in a number of EU countries. Yet even that financially incomprehensible setup of the Parliament did not satisfy the appetites of those who hunger for an idyllic model of parliamentary democracy in the Union. Hundreds of papers have been written advocating the empowerment of the Parliament and weakening of the Commission. Millions of Euro have been allocated on the research grants for projects with doubtful outcomes, studying institutional setup and democratic governance of the Union. Several prominent academic careers have been advanced theorizing this fictitious problem. Yet the worst of it is that this culture of dramatizing academic concern over never-achieved ideal of parliamentary democracy has been literally indoctrinated into the mindsets of the whole generation of EU students. Arguing for “less power for Commission and Council, more power for Parliament” has become a major adage in popular thinking about European integration. Ironically, many view this hardly emancipating ideal in line with “more rights to disabled people” or “less constraints for EU citizens”. One of the most important exercises any student inherits from the classes on EU constitutional law is how to translate separation of powers and checks and balances in liberal democracies towards the Union institutions. The major pitfall of this exercise is that EU is simply not a state. The Parliament is not the Assemblée nationale in France, and the Commission is not quite the House of Lords in the UK. As has been convincingly demonstrated by several influential studies (including Moravcsik’s “In Defence of Democratic Deficit”), the Commission and the Council offer a valid model of parliamentarianism without using that inadequate terminology of national member states. EU institutions are tightly constrained by constitutional checks and balances, such as narrow mandates of various offices, fiscal limits, super-majoritarian and concurring voting requirements, etc. Furthermore, matters of EU competence are still substantially away from the agenda of national parliaments, focusing chiefly on economic diplomacy and technical administration. The very function of the Union – as undoubtedly one of the most democratic forms of governance on the continent – does not require the same separations and institutions embedded in the constitutions of its Member States. The Commission members are nominated by the elected national governments and pass through consultation of the elected – and so far pretty vocal – EU Parliament. There has not been major evidence demonstrating multiple illegitimate nominations of incompetent or highly biased Commission’s offices so far. And even those present criticisms to nominations cannot be compared in impressive number to the endless populists, charlatans and extremists getting into both national parliaments and the EU Parliament. 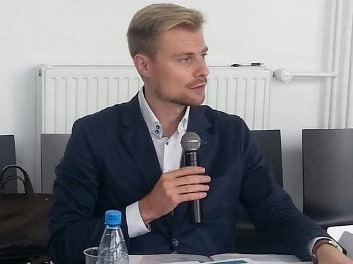 In fact, one of the major successes of tacit EU governance and democratic stability emerged from this unique co-decision scheme between the Commission and the Council, safeguarded by the highly respected and, at times, activist Court of Justice. Those who argue for the participatory democracy in the Union and critique the imagined super-power of the Commission should not forget that the ideal of active civic engagement equally requires multiple referenda. At best, such models offer relatively well-functioning tiny democracies like Switzerland with incomprehensible plebiscites on doubtful, to say the least, agendas (like the recent referendum on migration quotes). At worst, they bring populists and extremists to power. Yet despite the powerful theme of militant democracy, the lessons of Weimar seem to gradually loose their appeal in the minds of the proponents of democratic deficit. The May 2014 elections to the European Parliament are over. The results are calculated. Almost forth of the places from France, Denmark, Austria and some other countries go to far right nationalists. While not only Hungarian Fidesz but Jobbik and the like easily make it to the heart of the EU Parliament, it remains unclear how the Union is supposed to remedy fading democracy in its Member States. Holocaust deniers, ardent admirers of Putin, open racists and homophobes are all richly represented in the respected institution addressed as the Union’s Parliament. EU tax payers (who have been largely encouraged to support parliamentary democracy) can blissfully continue sponsoring business rides of those delegated ladies and gentlemen between Brussels and Strasbourg. This is definitely not to downplay the success of those other – decent and entirely competent – deputies making their way through to Brussels. Furthermore, this comment is not about “shut the Parliament down for the sake of the moment”. Despite all the dramatic predictions about the rise of the radical right, the Netherlands, for example, has voted for two entirely pro-European liberal parties. Furthermore, both extreme right and left wing deputies and other diverse bunch of political populists have been sitting in the Parliament from its very first appearance. In this respect, the latest elections do not open revolutionary horizons. Yet even if the results of the elections were different in the whole of Europe, the possibility of the Weimer scenario advanced on the EU level is a part and parcel of countering democratic deficit via distribution of the power from the Commission to the Parliament. The current setup of the relatively strong Commission against weaker (albeit ever more powerful after Lisbon Treaty) Parliament is one of the strongest guarantees for the constitutional immunity of the Union. SUGGESTED CITATION Belavusau, Uladzislau: Paying Tribute to the Ghost of Democratic Deficit, VerfBlog, 2014/5/30, https://verfassungsblog.de/paying-tribute-ghost-democratic-deficit/. Is this article meant seriously? It obviously is total nonsense. The EU-parliaments role in legislation goes way beyond mere consultation but is already the first chamber in the vast majority of fields to the council as second chamber. It has the full budget sovereignty and since 2012 de facto right of initiative, because it threatened the commission with withholding of funds, unless the commission will formally propose everything the parliament wants. Thus the EU- parliament has gradually achieved over the last decades all the functions of a parliament in almost all issues, and where it must only be consulted, the council needs unanimity, which is of course coupled to parliamentary power in many member states. Dear Uladzislau, it seems you are still back in the 1980s and you did not follow all the developments regarding legislative functions in the EU. Back then, your article might have been right, now it is just comical. Thank you for your kind comment! I am aware of pretty all the developments you’ve mentioned. It appears like you may have misunderstood this commentary or – even more likely so – I haven’t made this aspect clear enough. I thought that the reference to the "ordinary legislative procedure" is sufficient to grasp the role of the Parliament actually getting close to the first chamber. Furthermore, it is precisely against that background of the Parliament threatening the Commission (which I assumed is so obvious to any EU lawyer and so much discussed in all kinds of recent literature, that it does not need to be specified again), that I meant this piece. I don’t find this empowerment particularly promising or emancipating. Following your wording, it becomes "comical". Transferring more power to the Parliament might well be a critical line for European integration.